View cart “Optional Plug-in bottle-probe for Storage Applications” has been added to your cart. 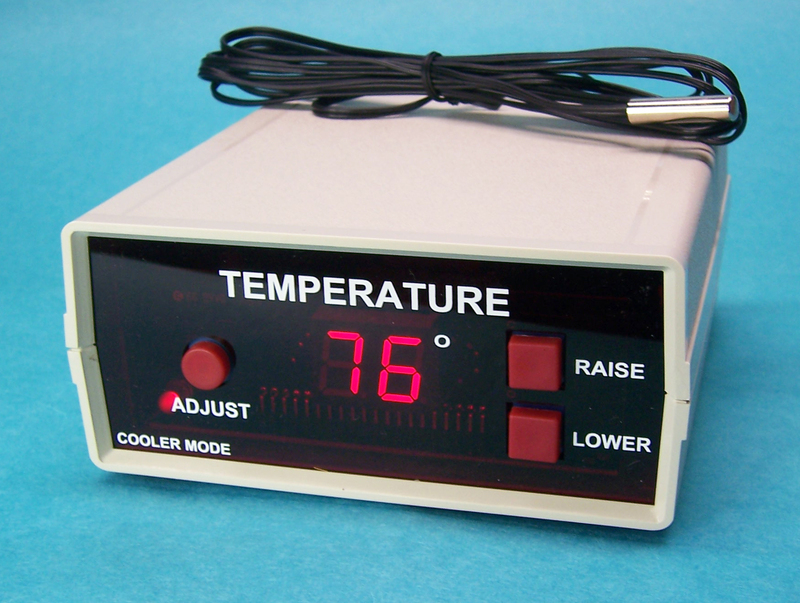 The Universal model provides a wide range of temperature set-point for a broad range of applications. Some popular applications include: beer-brewing or wine-making fermentation and/or storage, food storage, cheese making/storage, chocolate storage, laboratory storage or incubation, space heating, freeze protection of plants or exterior water pipes, and a broad range of applications you may have need for! The WINE-STAT II Universal model plugs into your wall socket, and then your cooler plugs into the receptacle on the back of the WINE-STAT II. 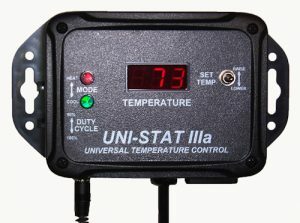 In this manner, the WINE-STAT II Universal takes over control of your cooler (whether it be a refrigerator, freezer, air conditioner or your commercial cooler unit). 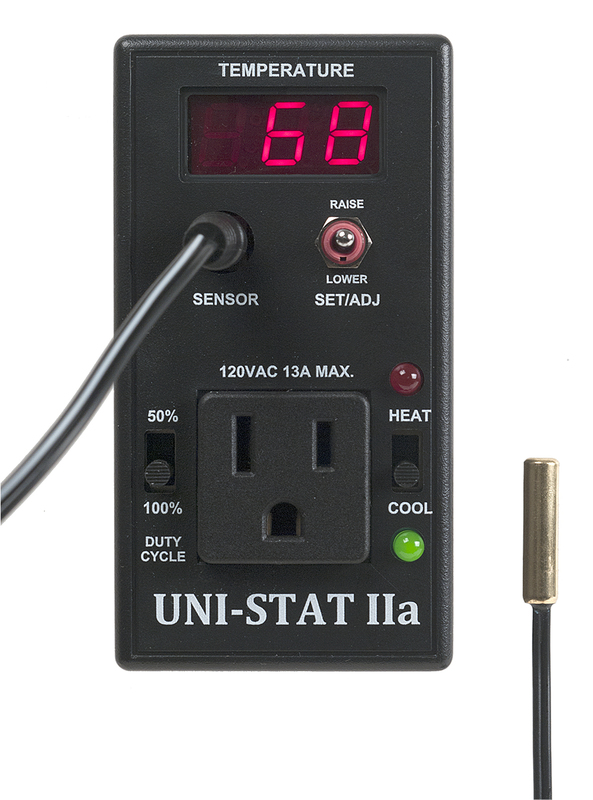 The WINE-STAT II Universal includes a temperature sensor with a thin cable (See below for optional Bottle Probe sensor for long-term product storage and aging). You place the sensor inside the cooler with your product, then close the door on the cable. You do not need to drill any holes in the wall of your cooler. The WINE-STAT II will turn your cooler on and off as needed to maintain the temperature within 1° F of your selected set-point. Convenient push buttons on the front of the WINE-STAT II allow you to set the desired temperature that you wish to keep your product. After you set it, a continuous display of the actual product temperature appears on the bright front panel LED display of the WINE-STAT II. You will always have the confidence at a glance that your valuable product is maintained at the ideal temperature you have selected.